We are a team of dedicated professionals, with a variety of backgrounds and decades of experience. Our core motivation is the desire to help you, our customers, solve your collection problems and achieve your desired results — a full and speedy recovery. 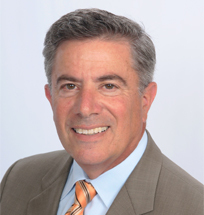 Todd has been practicing law, specializing in insurance collection and recovery, for more than 30 years. During the course of his career, he has worked for insurance and surety bonding companies, both in-house and as a vendor and consultant, including serving as a bond claim attorney with the Fidelity & Deposit Company of Maryland (now Zurich Insurance Company North America) and Assistant Vice President of the Bond Claim Department of St. Paul Fire & Marine Insurance Company (formerly the United States Fidelity & Guaranty Company n/k/a Travelers). He helped establish Kazlow & Fields, serving as President, in June 2001. Todd has written numerous articles for professional publications, including the American Bar Association, and has been a featured speaker at several nationwide conferences and continues to participate in key industry associations, such as the American Bar Association/TIPS/FSLC, National Bond Claim Association, Surety Claims Institute and the National Association of Subrogation Professionals. Todd spends his spare time with his family, coaching basketball, and attempting to lower his golf handicap. Darren has spent his entire professional career working on behalf of businesses, small and large, with a focus on collections and creditors’ rights. He has served as collections, subrogation, and defense counsel in private practice, and worked as in-house surety claims counsel for St. Paul Fire and Marine Insurance Company. 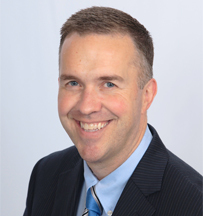 Licensed to practice law in Maryland, Darren is active in the Fidelity and Surety Law Committee of the ABA, the Maryland State Bar Association, the Commercial Law League of America, and the National Association of Subrogation Professionals. Darren also has been designated a Certified Subrogation Professional by the National Association of Subrogation Professionals. Darren enjoys spending time outdoors with his wife and children and cheering for his beloved Orioles, Ravens and Terps. He also enjoys tracking severe storms from the safe confines of his home while griping every time the weather is less than perfect. Megan began her career as a law clerk at Kazlow Fields while in law school and, upon passing the bar exam, joined us full time as Staff Counsel. She earned her law degree from the University of Baltimore and has served over five years as Staff Counsel, managing litigation nationwide from start to finish. Megan has also spoken and written at industry conferences such as the Defense Research Institute. Tova has been with Kazlow Fields for more than fourteen years and started with us while in college. Upon earning her B.A. in Business Communications from the University of Baltimore, Tova moved into a full time role as a Recovery Specialist and was later promoted to our most senior collection position. She is responsible for managing some of our most complex and sensitive matters.